Don’t attack the weed, kill the seed. A pre-emergent weed killer applied in the spring and fall will help eliminate most weeds before the weed emerges by killing the weed seeds. Fall weed controls the winter annuals which germinate in autumn or winter, then bloom in winter or spring. Some of the most common winter annuals are chickweed, deadnettle, hairy bittercress, wild mustard, prickly lettuce, annual bluegrass, etc. You would need to know what type of weed(s) you want to eliminate in order to pick a product that is going to be effective on your weed(s). There are 2 types of weeds leaves broadleaf and grassy; the same herbicide may not be effective on both types of weeds. It would be best if you check with your local nursery and inquire what type of weed control is recommended. If you are using an organic product such as our Gluten-8, it can be applied to any type of grass and used in any state. Many weed killers may have a specific timing or temperature requirements. Fall weed control is usually done in early October.It is also very important to know what type of grass you have, not every product is safe for all types of grasses. Remember, to read the entire label of whatever product you choose and follow the instructions for applying. Do not increase the recommended dosage, thinking this will help to kill more of the weeds or kill them quicker. Instead you could end up killing your lawn. If you are considering purchasing zoysia for your lawn, you may be considering a few different options. In your research, you may find that zoysia is not an all-inclusive term. Not only are there are different types of zoysia, there are also different ways to plant it: seeds or plugs. Seeds are a new option for planting your Zoysia, although it tends to be more expensive and can require more to cover a comparable area. Seeds can be planted from May to June, resulting in a very short planting period of about 6 weeks in most regions of the country. The area to be seeded must be well prepared, flat and with no competition from other grasses or weeds. The seeded area must be watered frequently and kept moist until established, and must be covered with an erosion cloth to reduce surface distribution caused by this watering. They are also sensitive to light and temperature. Because of this, seed has generally only been successful when planted by professions, such as golf course managers. 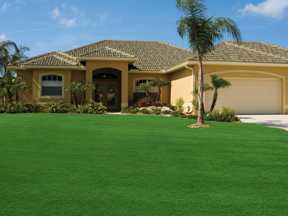 The grass that results from Zoysia seed is a medium to coarse textured lawn. It can grow unevenly and in mounds. The resulting grass is also not very resilient against cold temperatures, sometimes resulting in death during winter. Here at Zoysia Farms, we believe in the power of plugs. Although plugs require more time to fill in than seed, the success rate is virtually 100%. Even more so, they require less maintenance overall. You don’t have to water often, and the grass isn’t light sensitive. The grass is thick and tough enough that erosion isn’t a problem. Grass resulting from plugs is an even lawn that proves to be hardier in colder temperatures. Planting is easier, too. We have already done all of the hard work for you. We ship you the product, and you plant exactly what we provide to you: a living plant. The planting period is much longer, too. Rather than the 6 week planting period for seeds, zoysia grass plugs have a planting season that spans from early spring to fall.